Well this year I decided to do the crazy January challenge to get some of my ornaments started and finished with plenty of time this year. 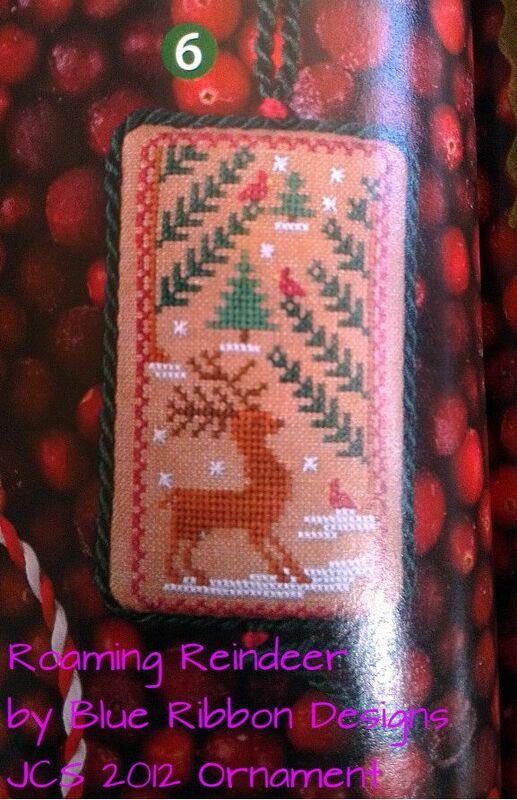 Roaming Reindeer by Blue Ribbon Designs from JCS 2012 ornament issue. Now to be different and because I had this sparkly fabric in my collection that will fit all 4 designs if I ever get the patterns for the other two. Its a Joey fabric from Colours of the Outback which I bought ages ago. 32ct Opal Lugana. I love the look of this piece, it looks like its a dark night. I am looking forward to seeing a reindeer appearing in the night. It looks amazing - love the sparkle! Good luck with your crazy January! Very nice start of the year! 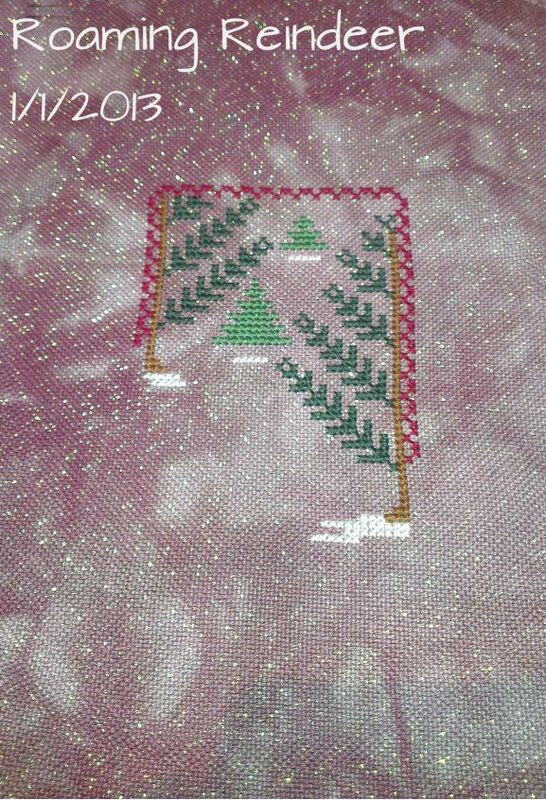 What fun stitching on sparkly fabric. Good luck with your goals. Day 1 start looks great Caitlin. I love the fabric. I love the fabric! Great start on your ornament. Love the fabric and the pattern! Great start to the challenge! You got a lot done in one day! The fabric is gorgeous!